The Faculty of Science Research Week 2019 was held from 17th to 24th January 2019. The program comprised talks and workshops with the aim of disseminating information to new and senior staff with regard to Research, Publication and Innovation KAIs and their importance to the career development of academic staff and UTM as a Research University. More importantly, hands on workshop on journal and creative writing, FRGS grant proposal and Intellectual Property were included. 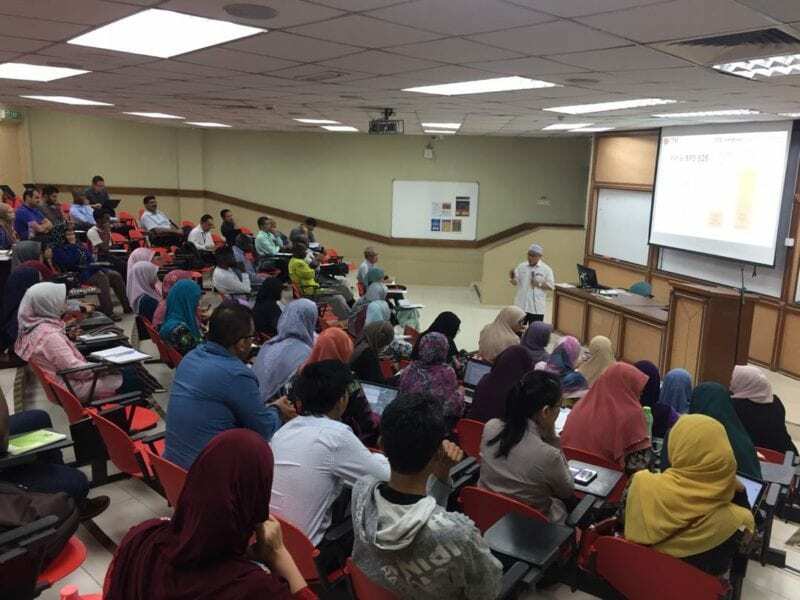 This program started with a sharing session on “Get Your Research Funds Through International Grants” that was held on 17th January 2019 at Lecture Hall 2, C17. During this sharing session, five (5) invited speakers from various background shared their overview and experience in applying for international grants, namely the UK-Newton-Ungku Omar Fund, Japanese Grants, AUN/SEED Net Grant, UK Global Challenge Research Fund Grant and Industry Grant. This sharing session aimed to increase the number of International and Industrial grants applied/granted to the staff as well as motivating the staff on the importance of networking with researchers both local and abroad as a prerequisite to securing these grants.